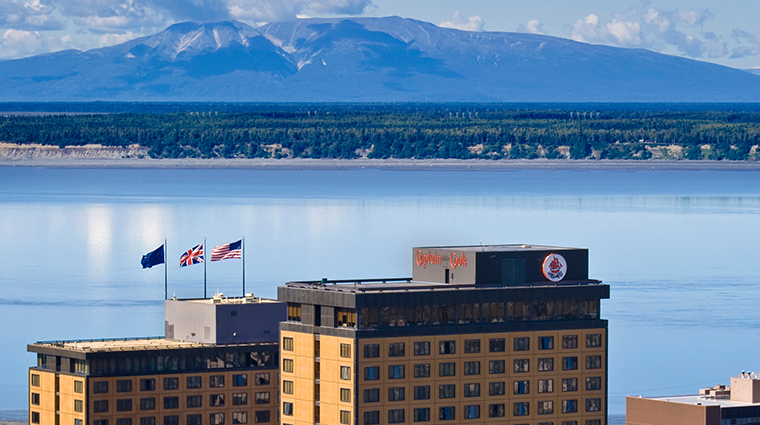 The Hotel Captain Cook, located in downtown Anchorage, pays homage to the eponymous British explorer and cartographer who was the first to chart Alaska’s coastline. 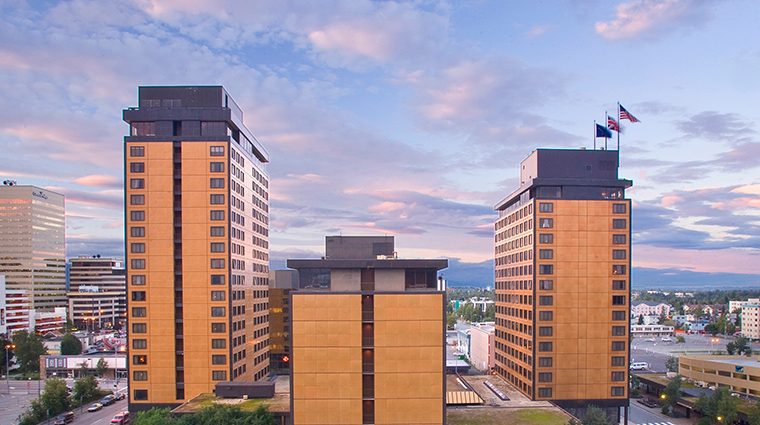 Built just after the devastating earthquake of 1964, the hotel rises like a phoenix out and over the amazing Alaskan landscape, celebrating Alaska’s heritage and the experience of Captain Cook’s voyages around the world, with handcrafted teakwood and polished brass furnishings offering a nod to the warmth of the Pacific. The clientele at the Hotel Captain Cook boasts celebrities, outdoor sports enthusiasts, and business-focused people alike. Whether you’re in town for business or pleasure, choose from one of 546 rooms, including 96 suites, five presidential suites, and a Captain’s Deck concierge level. If you can pull yourself away from the unparalleled views, you’re just steps away from museums, shopping, and fine dining. The hotel is home to the Crow’s Nest, an establishment that boasts an impressive 10,000-bottle wine cellar. Perched atop Tower 3 with gorgeous views of both the Cook Inlet and the city, it’s the perfect place to celebrate a special occasion, enjoy a pre-dinner cocktail in the Lounge or simply dine on some the best food you’ll find in Anchorage offered by chef de cuisine Reuben Gerber, and his team. 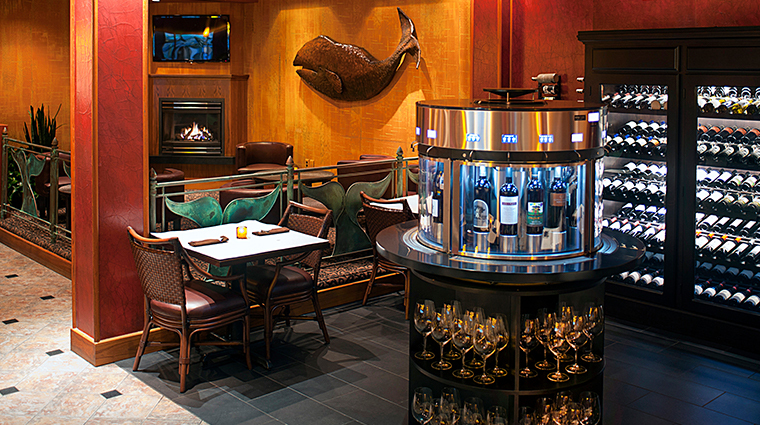 If you prefer a more quick and casual meal, there are several options including the Whale’s Tail Bistro and Wine Bar, which offers downtown Anchorage’s only self-serve wine dispensing system with more than 30 wines to taste. This casual bistro offers grilled Kobe beef sliders, fresh Alaska oysters, salads, and small bites. The English-style pub, Fletcher’s, serves local seafood, handcrafted pizza and pasta, including a favorite housemade lasagna, with local microbrews. There’s a host of conference rooms, and 13 onsite boutiques from native art and a European-inspired spa, to a Patagonia apparel shop for any ill-equipped visitors during the winter months. Do as the locals and venture out for something a little more athletic, including a bike ride along the Coastal Trail that leads you to Kincaid Park where locals cycle and jog in the summertime and cross-country ski in winter. The Café, which is located in the main lobby of the Hotel Captain Cook, is open for breakfast and lunch, with dinner available in the summer. 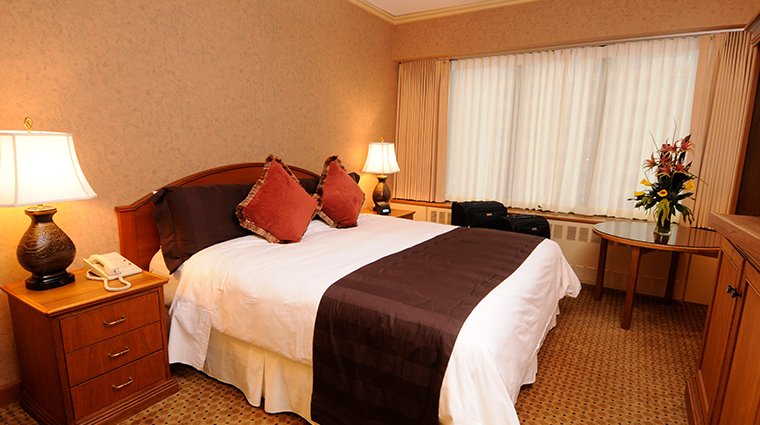 The rooms at the Hotel Captain Cook are comfortable and are outfitted in neutral colors such as tans, browns and creams. The property offers 546 rooms, including 96 suites, with five presidential suites and a Captain’s Deck concierge level (16th and 17th floors of Tower 2) offering full breakfast, evening appetizers and a bar filled with juices and sodas. 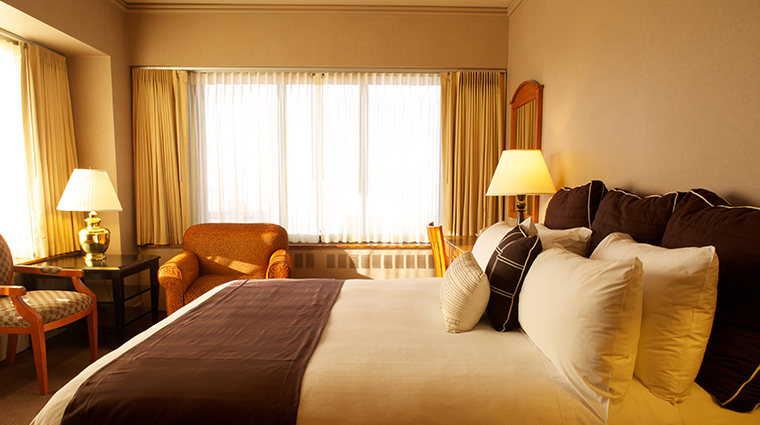 The rooms at the Hotel Captain Cook are cozy with ongoing updates to ensure modern comforts, but the best feature is the view, especially from the upper level floors, offering breathtaking vistas of the Cook Inlet, the Chugach Mountains and, on a clear day, majestic Mount McKinley. 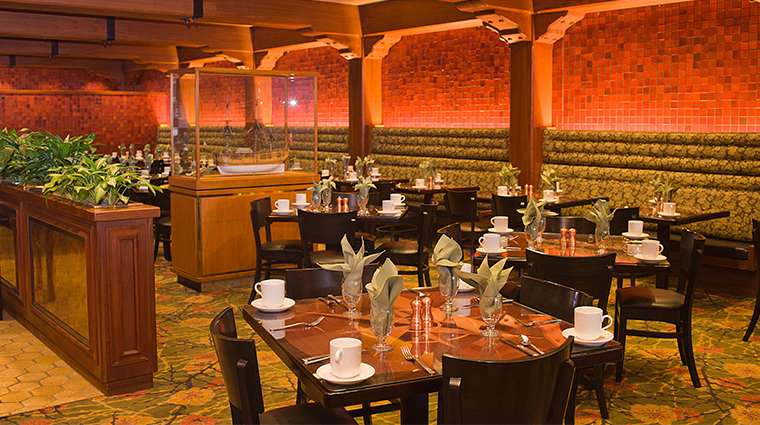 The design style of the Hotel Captain Cook embodies the warmth of the Pacific with its nautical theme. 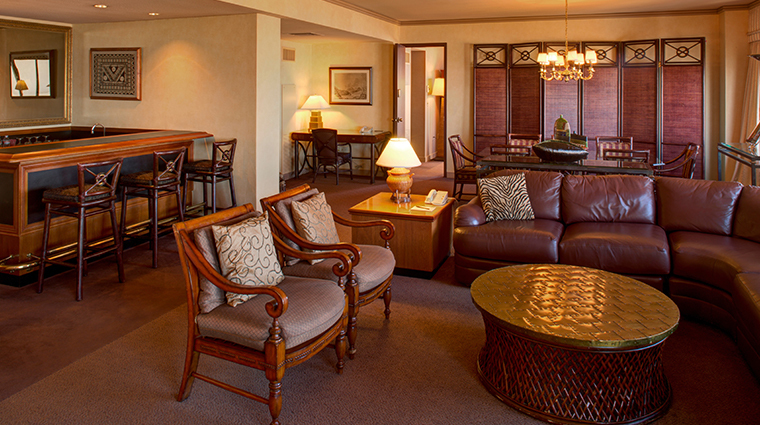 Expect to find handcrafted teakwood, polished brass furnishings, and basalt stone throughout the hotel. Since being built in 1964, the owners have taken great care to collect items that portray Captain Cook and his sense of adventure as well as a glimpse of Alaskan heritage. 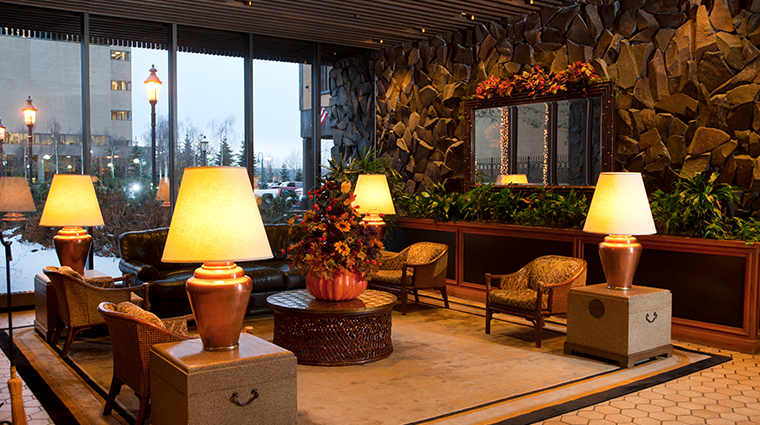 The lobby area and shops are spacious with the guest rooms and the Crow’s Nest restaurant allowing the natural beauty of Alaska to shine.